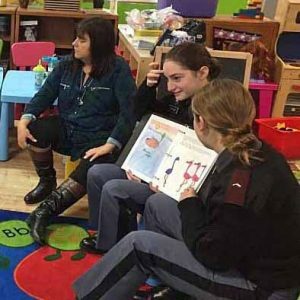 The Book Group’s completed book is currently at the publisher, but that didn’t stop the authors from taking their finished product on the road to read to the toddlers at the Arc of Learning in New Windsor. The Service Project Group completed the gazebo this week and it looks absolutely amazing. The group also decorated the Social Center for the upcoming Halloween festivities. The Culinary Group took everyone on a tour of India. The cadets were treated to a delicious Indian meal that consisted of chicken tikka masala, vegetable basmati rice, aloo palaak (potato in a spinach sauce), Indian spiced cauliflower soup, naan bread, and mango lassi for dessert. Everyone learned all sorts of interesting facts about India and the students shared maps that they had made of the area. The News Group veered from their usual serious news broadcast to bring everyone a “Saturday Night Live” version. They also produced a spoof version of the written newsletter as their finale. This coming Wednesday, our service learning groups will be rotating to their next experiences. We are looking forward to another creative, productive, and informative round of service learning at NYMA!